Conrad’s Ride 2017 will be on July 15th. 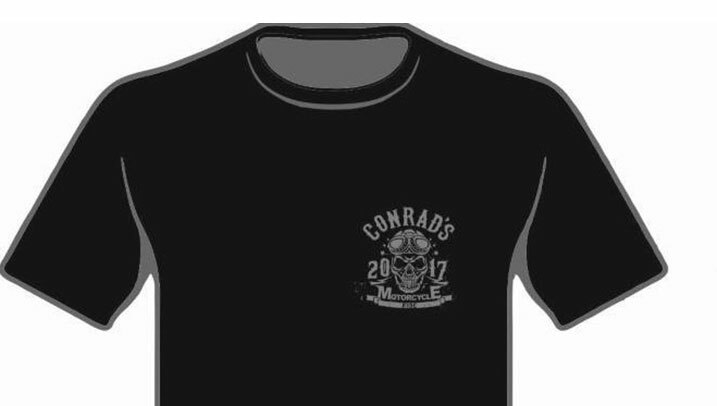 Conrad’s Ride T shirts are now available in black with gun metal grey logo or white with para maroon logo. Conrad’s Ride bandanas are also available. They are black with gun metal grey logo or white with gun metal grey logo. These can be purchased through 353 Supporter Jim on Facebook – www.facebook.com/jim.tatlow or via Jim’s email address harleyd95@hotmail.com.